For nearly fifty years, Eliminator’s name has been synonymous with quality and custom craftsmanship, and for good reason. Every boat we build is treated as an individual, custom creation, tailored to the express wishes and desires of its intended owner. 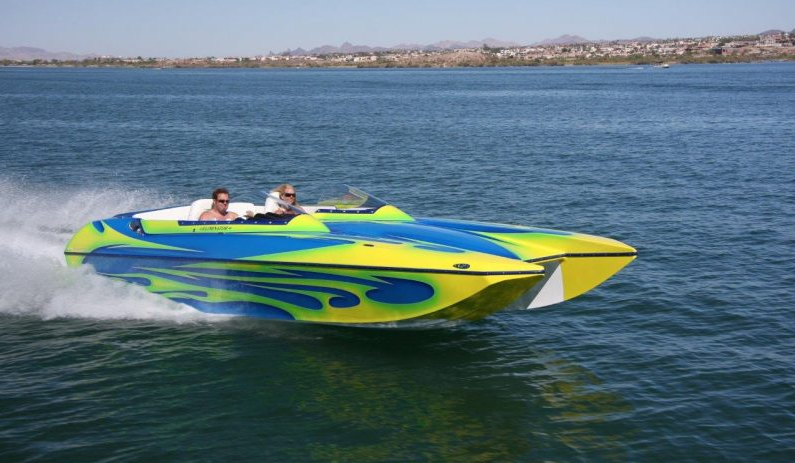 Unlike conventional production boat builders, we still adhere to the philosophy that each customer deserves the opportunity to select colors, create graphic designs, specify interior layouts, choose from an endless list of equipment options and decide which engine/propulsion system best suits their needs. And the end product reflects that care and individual attention every customer is proud to own. One reason Eliminator continues to be so successful is the fact that its founder and president, Bob Leach, remains an active and integral guiding force in the development and overall operations of the company on a daily basis. His insight and leadership in the custom performance sportboat market has earned Eliminator numerous awards and racing championships over the last three decades. At Eliminator, performance is taken very seriously. That’s why Eliminator maintains one of the most aggressive and ambitious new model development and tooling programs in the industry. There is no such thing as a carbon-copy at Eliminator. Every model is an original, created in-house by Eliminator factory technicians using the latest and most advanced design and construction technologies available. If you tried to imagine the most unlikely profile for success in the west coast custom high performance boat business you might start with something like a Michigan native working for cereal giant Kellogg’s as a sales rep. 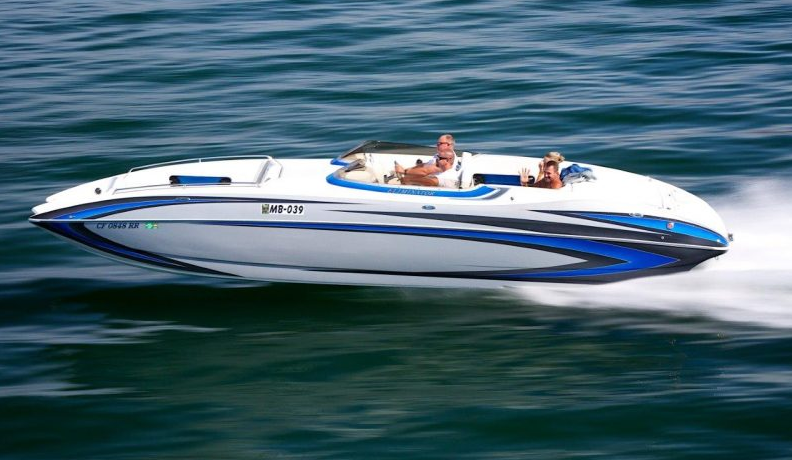 But that’s how the Eliminator Boats forty-year ascent to the pinnacle of the performance marine industry began. In the late 1950s a then teenaged Bob Leach hitch-hiked his way out of the Saginaw snow and into Southern California sunshine with $50 in his wallet. After working at several different professions, Bob discovered boating as a much enjoyed diversion from his daily routine. Toward the latter part of the1960s, Bob and brothers Bill and George Verkamp teamed up to build a flatbottom SK boat. The hull was fiberglass and the deck was custom handcrafted wood. The finished product was such a hit that people wanted to buy one just like it. The salesman in Bob immediately recognized that a business opportunity was blossoming. The Verkamps decided to remain firefighters while Bob found an empty gas station in Huntington Park, California that soon became Eliminator’s first official home in 1969. In 1969, Eliminator boats came to life with the 18 foot flat bottom with a v-drive in Huntington Park, California. Bob Leach himself gel coated this boat. From there a v bottom hull was introduced with a jet pump that legitimized Eliminator and put them on the map. Then a ground breaking design the hydro influenced tunnel hull 19’ Daytona would revolutionize the recreational boating industry forever. Dodging through the economic challenges throughout the years, (Owner and Founder Bob Leach Also known as the Godfather, has been able to weather the storm and come back stronger than ever before. 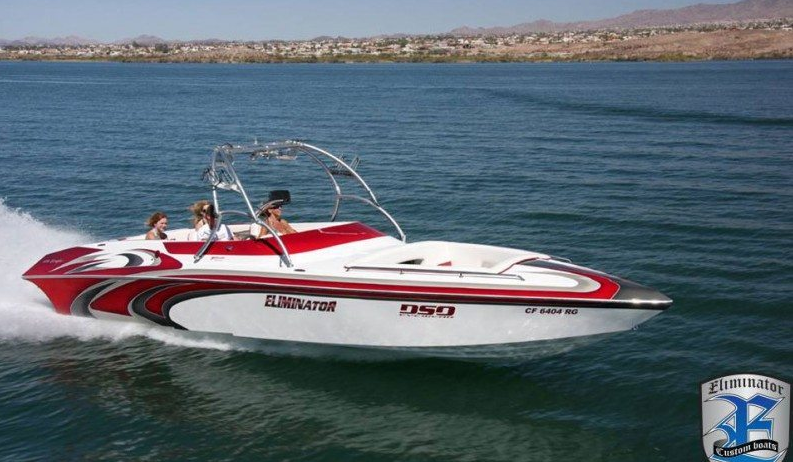 Over the past four decades Eliminator boats and the lifelong company employees would bring a new sense of quality, craftsmanship, performance, lifestyle, cutting edge style and designs to the marine industry. Eliminator has earned numerous awards, racing championships and eternal recognition.